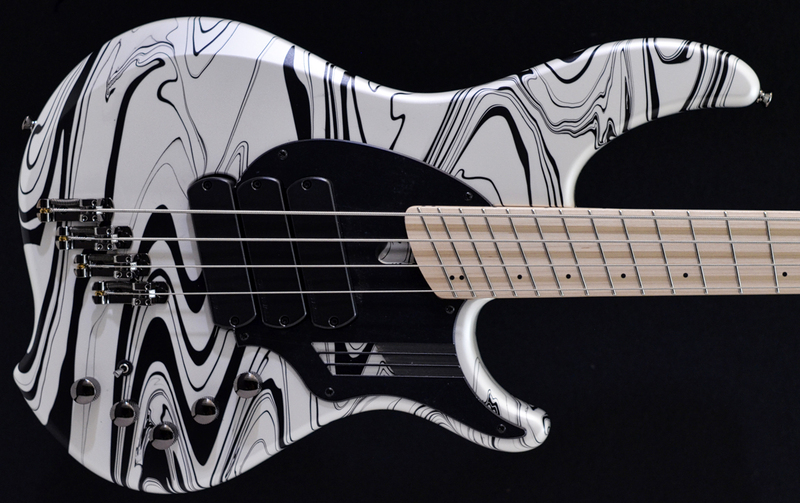 •New is the Dingwall NG2 4 bass designed for Adam “Nolly” Get good from the band Periphery. Made with lightweight Alder body, Maple neck and fingerboard and equipped with Neodymium pickup, Darkglass 3 band preamp, lightweight Hipshot tuners and custom mono saddle bridge both finished in smoke chrome. A new profile neck is fast and comfy and the tone is clear and precise with a range of punchy tones ideal for modern music. These basses are perfect for drop tuning or being strung B/E/A/D and lower!